Your procurement department relies on order confirmations to ensure it will have the goods it needs when your business needs them. But manually receiving and matching order confirmations is time consuming and can prevent procurement staff from catching supply problems before it’s too late to take action. The accurate and efficient management of your supply chain requires complete transparency into the status of orders. 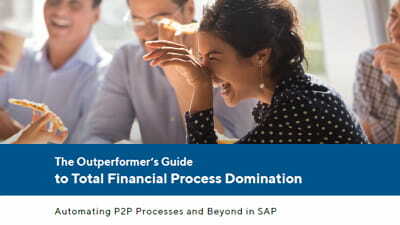 By automating order confirmation processing in SAP, procurement gains visibility into every order, which prevents potential problems early in the process and allows staff to focus on exception handling and other value-added tasks. Production downtime means potentially losing sales, unhappy customers and the challenges and additional cost of trying to find a supplier to rush the delivery of your goods. ReadSoft Process Director™ reduces processing time for order confirmations to a minimum, allowing procurement to discover potential delivery problems early in the process. When a discrepancy is found, a user notification is automatically triggered and built-in workflows for exception handling are in place to facilitate swift decision-making that keeps your production process from stalling. Manual entry of order confirmation data, as well as data validation and check processes, are slow and error prone. Automation replaces tedious tasks with highly efficient processing that moves at the speed required by your fast-paced business. Automating the processing of order confirmations allows for identification and resolution of discrepancies between purchase orders and supplier deliverables of goods and services. Having full control over these processes gives procurement visibility into the most up-to-date and correct data available. The solution intelligently determines vendors and supplier materials, automatically proposing line items from associated purchase orders and matching confirmations to purchase orders.